SAFERE provides women with a writing platform which is feminist in content and orientation, as well as facilitating for African women to express their ideas and interests through a medium which is supportive and encouraging of feminist opinions and positions. 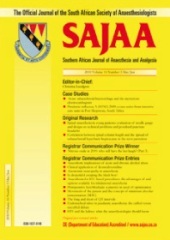 The Journal is one of barely a handful of feminist journals coming out of Africa, and through careful editing and the collection of high quality written work, it has established itself as a journal of world standing from the time it was first published in 1995. 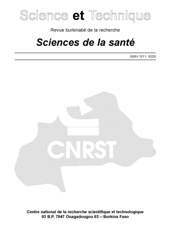 Le journal publie des communications en Anglais et en Français de tous les domains des aspects sociaux du VIH/SIDA (le soin, le soutien, le changement du comportement, la surveillance comportementale, la consultation, l'impact, la réduction, le stigmate, la discrimination, la prévention, le traitement, l'adhésion, la culture, les approches basées sur la foi, l'intervention évidence-basée, la communication sur la santé, l'intervention structurale et de l'environnement, le financement, la politique, le média, etc). 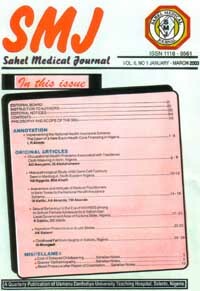 Sahel Medical Journal is a quarterly international Journal devoted solely to (1) dissemination of information about medical sciences in Nigeria, particularly the Sahel zone, Africa and the rest of the world, (2) to provide a medium where national and international medical and health organizations may relay information to medical scientists and others interested in health care in Nigeria, Africa, and the rest of the world, (3) it is also to serve as a forum for publications relating to international conferences in medical and health sciences in Nigeria, and (4) to promote inter-regional cooperation amongst medical and social scientists engaged in health care delivery in Nigeria in particular, and Africa in general. The Samaru Journal of Information Studies addresses issues in the field of library science, information science and related fields including but not limited to, information and communication Technology (ICT) applications to effectively create, apply, and communicate knowledge in organization. including but not limited to knowledge management, information and communication Technology (ICT) applications and use, communication, public relations and other allied areas of information studies. (i)	to provide current thoughts and research reports on developments and trends in the areas of Library and information science, academic, school, national and special librarianship. (ii)	to provide a platform for new thinking and directions on the problems, prospects strategies and techniques of library and information services and ICT applications in library, archive, publishing and information works. (iii)	to provide a forum for discussion of library and information science education and training, and future trends in information access and delivery. The journal is focused on health sciences in general. 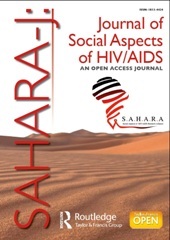 It publishes articles related to major problems in public health in sub-Saharan Africa such as HIV, malaria, tuberculosis, neglected diseases and emerging disease. It covers different areas like public health, epidemiology, clinical, paraclinical, health system and policy, biology, biochemical, pharmacology, pharmacopia and traditional medicine. 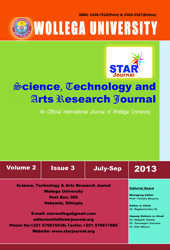 This Journal publishes original research work (including theoretical/conceptual, empirical and critical studies), review articles, Debates, Teaching Cases, Invited articles, conference reports, short communications, case report, Ethics Forum, Education contribute significantly to further the scientific knowledge related to the field of Science, Technology and Arts. 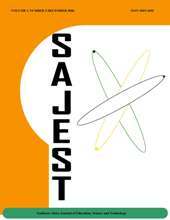 STAR Journal hopes that researchers, research scholars, academicians, industrialists publication for the development in the field of Science, Technology and Arts. 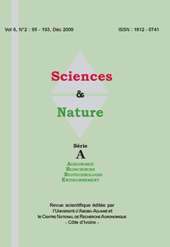 Sciences & Nature, the Scientific Journal edited by the University of Abobo-Adjamé and the National Centre of Research and Agronomy (Côte d'Ivoire) publishes original and review articles, abstracts, reviews of publications, proceedings of various scientific meetings (colloquium, workshop, seminar) and information of interest in general. Subjects covered include agronomy, sciences of the earth, environment, biological, ecological, biochemical, agribusiness, nutrition, health science and techniques. 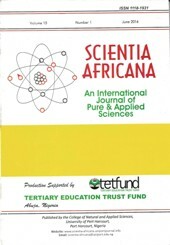 Scientia Africana seeks to encourage communication among scientists all over the world through regular publication of their research findings. The journal publishes results of original research in all aspects of biological, chemical, earth, mathematical, physical and applied sciences including basic medical and engineering sciences. It also publishes review articles, book reviews, research notes and other short communications on all aspects of pure and applied sciences and accepts advertisements in related fields. 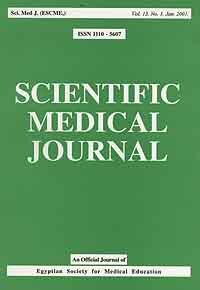 Scientific Medical Journal: an official journal of Egyptian Medical Education provides a forum for dissemination of knowledge, exchange of ideas, inform of exchange of ideas, information and experience among workers, investigators and clinicians in all disciplines of medicine with emphasis on its treatment and prevention. Scopus: Journal of East African Ornithology has been published since 1977 by the Bird Committee of the East Africa Natural History Society. 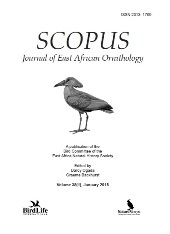 Originally titled Scopus, the addition of Journal of East African Ornithology began with our January 2018 issue. The journal is published Open Access twice a year, typically in January and July. Authors retain copyright and their work is licensed under the Creative Commons Attribution 4.0 International License. Our copyright and licensing agreement only applies from January 2018 onwards, and does not apply to previously published issues. Users have the right to read, download, copy, distribute, print, search, or link to the full texts of these articles. 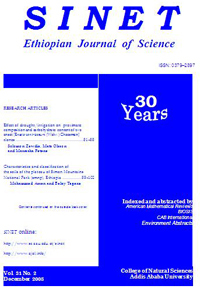 Scopus: Journal of East African Ornithology welcomes original contributions— which have not been published elsewhere— on all aspects of the ornithology of eastern Africa, encompassing the area from Sudan, Ethiopia and the Horn of Africa countries south to Mozambique, and including the Malagasy region. This journal does not charge Article Processing Charges or submission charges. Shakespeare in Southern Africa is interested in both literary and theatrical approaches to Shakespeare. Its geographical scope is not confined to Southern Africa. Contributions discussing the legacy of Shakespeare elsewhere in Africa, with a specific focus on the Shakespearean experience in particular African countries, are especially welcome. The journal actively seeks to publish articles investigating the impact of Shakespeare in other parts of the world, such as India, the United States, South East Asia and South America. 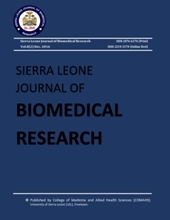 The Sierra Leone Journal of Biomedical Research publishes papers in all fields of Medicine and Allied Health Sciences including Basic Medical Sciences, Clinical Sciences, Dental Sciences, Behavioural Sciences, Biomedical Engineering, Molecular Biology, Pharmaceutical Sciences, Biotechnology in relation to Medicine, Environment and Health, Nursing Sciences, Health Education and Primary Health Care. 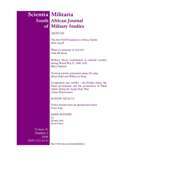 Note: the journal's maiden issue is now open access - other issues of this journal are subscription based. 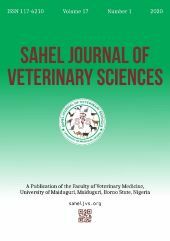 The Journal publishes original research articles related to veterinary sciences, including livestock health and production, diseases of wild life and fish, preventive veterinary medicine and zoonoses among others. 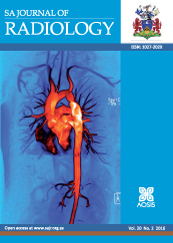 Case reports, review articles and editorials are also accepted. South African Actuarial Journalis published by the Actuarial Society of South Africa (ASSA). It is issued free to members of ASSA and will also be made available to them on the Society's website for access via the Internet. The focus of SAAJ is on actuarial research–particularly, but not exclusively, on research of relevance to South Africa. The subject matter must, however, lie within the scope of actuarial work and be relevant and of interest to at least a minority of the profession in South Africa. Actuarial Society of South Africa (SAAJ) content on this site is licensed under a Creative Commons Attribution 3.0 Licence. 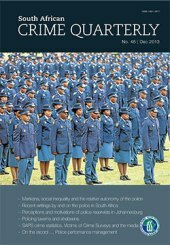 South African Crime Quarterly is an inter-disciplinary peer-reviewed journal that promotes professional discourse and the publication of research on the subjects of crime, criminal justice, crime prevention, and related matters including state and non-state responses to crime and violence. 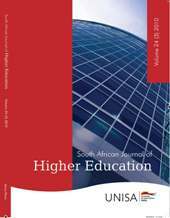 South Africa is the primary focus for the journal but articles on the above mentioned subjects that reflect research and analysis from other African countries are considered for publication, if they are of relevance to South Africa. SACQ is an applied policy journal. Its audience includes policy makers, criminal justice practitioners and civil society researchers and analysts, including the academy. The purpose of the journal is to inform and influence policy making on violence prevention, crime reduction and criminal justice. Articles submitted to SACQ are double-blind peer-reviewed before publication. 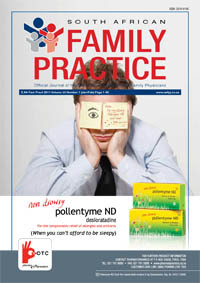 South African Family Practice(SAFP) is a peer-reviewed scientific journal, which strives to provide primary care physicians and researchers with a broad range of scholarly work in the disciplines of Family Medicine, Primary Health Care, Rural Medicine, District Health and other related fields. SAFP publishes original research, clinical reviews, and pertinent commentary that advance the knowledge base of these disciplines. The content of SAFP is designed to reflect and support further development of the broad basis of these disciplines through original research and critical review of evidence in important clinical areas; as well as to provide practitioners with continuing professional development material. (Note: In January 2003 South African Family Practice merged with Geneeskunde – The Medical Journal to form South African Family Practice incorporating Geneeskunde, and since January 2004 it is again only known as South African Family Practice (SAFP). 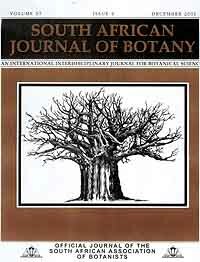 As a result the numbering of the journal now begins from Volume 45 in 2003). The South African Gastroenterology Reviewis written by specialists in the field. Its aim is to publish articles pertinent to the practising Gastroenterologist in South Africa. It is distributed to a broad spectrum of clinicians who have an interest in clinical gastroenterology and hepatology. Suid-Afrikaanse Tydskrif vir Navorsing in Sport, Liggaamlike Opvoedkunde en Ontspanning / The South African Journal for Research in Sport, Physical Education and Recreation is published by the Southern African Alliance for Sport Science, Physical Education and Recreation. 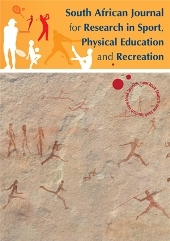 Contributions from the fields of Sport Science, Movement Education, Recreation/Leisure Studies, Exercise Science and Dance Studies will be considered for publication. The articles submitted will be administered by the appropriate Review Editor and evaluated by two or more referees. 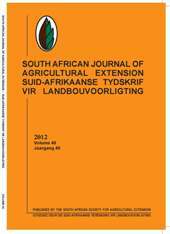 The South African Journal of Agricultural Extensionaims to: * advance and apply the science of extension and of rural development as scientific discipline by stimulating thought, study, research, discussion and the publication and exchange of knowledge both nationally and internationally. * promote the professionalism, status and dignity of the extension profession amongst the scientific fraternity, the general public and with the studying youth. * practise the natural-, economic- and managerial sciences responsibly and in public interest. * act as representative mouthpiece for the extension profession in agriculture. As of February 2018, this journal content is open access online. 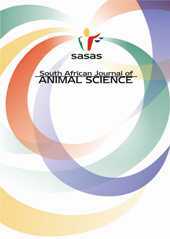 The South African Journal of Animal Science is a peer-reviewed journal for publication of original scientific research articles and reviews in the field of animal science. 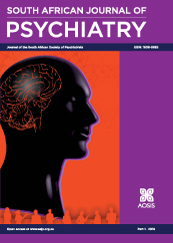 The journal is published both electronically and in paper format. The scope of the journal includes reports of research dealing with farm livestock species (cattle, sheep, goats, pigs, and poultry), as well as pertinent aspects of research on aquatic and wildlife species. The main disciplines covered are nutrition, genetics and physiology. Papers dealing with sociological aspects of well-defined livestock production systems are also invited, providing they are scientific by nature and have been carried out in a systematic way. The journal is ISI Rated (Agriculture, Dairy and Animal Science Impact factor) with an Impact Factor of 0.678 for 2016. 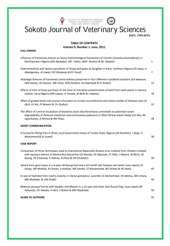 The South African Journal of Bioethics and Law is a bi-annual journal for health professionals dealing with bioethics, law, human rights and related topics. A call for papers:The SAJBL is a key new journal that is dedicated to discussions of significant and critical issues surrounding the application of bioethics, health law and human rights in clinical practice, health policy and regulation and research. The journal will be an electronic one that will be issued twice a year. The editors welcome submissions from authors under the following headings: Empirical Ethics, Clinical Ethics, Health Policy and Law, Case Studies, and Review Articles. Cross-disciplinary debate is encouraged in order to increase the understanding of the complex ethical issues challenging consumers and providers of health care. The journal publishes short communications, full research papers and review articles in all branches of chemistry. 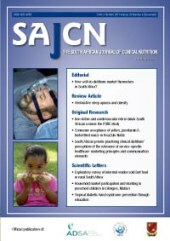 The SAJCH is a quarterly, peer reviewed, medical child health journal. The Journal accepts articles from all basic and applied areas of dietetics and human nutrition, including clinical nutrition, community nutrition, food science, food policy, food service management, nutrition policy and public health nutrition. The Journal has a broad interpretation of the field of nutrition and recognizes that there are many factors that determine nutritional status and that need to be the subject of scientific investigation and reported in the Journal. The Journal seeks to serve a broad readership and to provide information that will be useful to the scientific community, the academic community, government and non-government stakeholders in the nutrition field, policy makers and industry. The Journal encourages articles from all investigators in the field of dietetics, food, nutrition and related areas. In particular young researchers and researchers from historically disadvantaged backgrounds will be encouraged and supported to submit their research work for publication. The Journal is based in South Africa and encourages articles from other African countries to act as a forum for the discussion of African nutritional issues. The Journal is committed to high scientific and ethical standards. The Journal will accept letters for publication, which are relevant to the Journal. The Journal provides a forum for publication of congress abstracts, supplements, short communications and policy statements with their technical support papers. 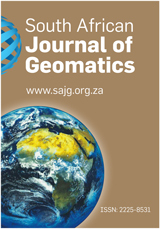 The South African Journal of Geomatics (SAJG) publishes peer-reviewed original papers within the broad discipline of Geomatics (including surveying techniques, technology and applications, mine surveying, hydrographic surveying, cadastral systems, land tenure, development planning, GIS, photogrammetry and remote sensing). The journal is designed to serve as a source reference and archive of advancements in these disciplines. 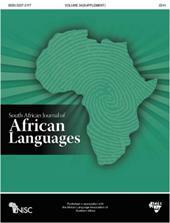 The focus is on papers relevant to the South African and African context, but is not restricted to these areas. This includes both technological developments as well as social adaptations appropriate to the needs of Geomatics in Africa. The South African Journal of Obstetrics and Gynaecologyis published by the South African Medical Association and publishes papers related to obstetrics and gynaecology. 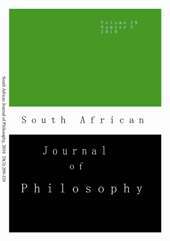 The South African Journal of Philosophy publishes original contributions (articles, discussions of articles previously published, review articles and book reviews) within any field of philosophy. 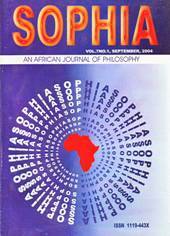 The South African Journal of Philosophy is indexed in The Philosopher's Index, Current Contents/Arts & Humanities, IBZ & IBR, Bio Sciences Information Service, Revue Philosophique de Louvain, Repertoire bibliographique de la Philosophie, Tijdschrift voor Filosofie bibliografisch reperiorium. 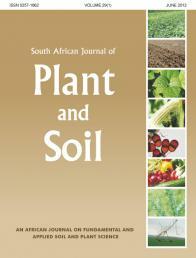 The South African Journal of Plant and Soil publishes original articles and commentaries on research in the fields of fundamental and applied soil and plant science. Original research papers, short communications including germplasm registrations, relevant book reviews and commentaries on papers recently published, and, exceptionally, review articles, will be considered for publication in the Journal. The South African Journal of Surgery is published by the South African Medical Association and publishes papers related to surgery. The South African Medical Journal is published by the South African Medical Association, which represents most medical professionals in South Africa. Back issues of the journal from years 1886 - 2002 can be found on the journal's website under the 'Back Issues' link at the top of the home page. 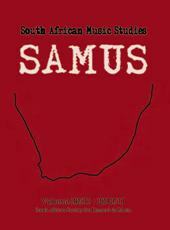 SAMUS: South African Music Studies is the official organ for the South African Society for Research in Music (SASRIM). It gives priority to the publication of research on South African music, but continues to represent the wider field of research interests in the country and in the rest of Africa. The journal invites work from any of the sub-disciplines in music studies, including musicology, ethnomusicology, popular music studies, music theory and music education, as well as research that draws connections between music and other fields in the arts and humanities. 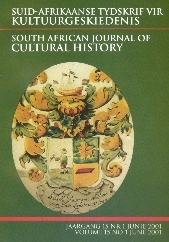 More information can be found on http://www.sasrim.ac.za This journal is also indexed in RILM Abstracts, The Music Index. 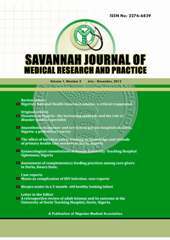 The SSMJ is the a multi-professional journal in the South Sudan which caters for the needs of Doctors, Nurses, Midwives, Clinical Officers, Pharmacists and all other cadres in the health profession. Its vision is to see a well-trained, skilled professionals delivering high quality healthcare to the population of the South Sudan. 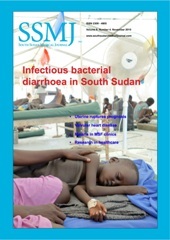 The mission of SSMJ is to publish research and clinical guidance that will positively influence the development of healthcare services in South Sudan. 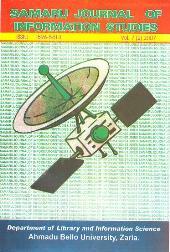 The Southern Africa Journal of Science and Technology is a peer-reviewed journal that seeks to promote original research and disseminated knowledge in the fields of education, science and technology. 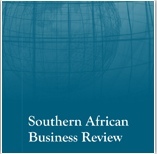 The Southern African Business Review is a refereed and accredited scientific journal of the College of Economic and Management Sciences of the University of South Africa (Unisa). The journal was first published in 1997 to serve as a vehicle for the publication and dissemination of research of a high standard in the fields of the economic and management sciences. It publishes theoretical and empirical articles in Economics, Marketing, Human Resource Management, Financial Management, Accounting, Public Management, Tourism Management and related fields. The Journal's primary aim is the publication of review and CME papers, aimed at both specialist professionals and general practitioners. Original research will be accepted for review; as will Case Reports and letters to the Editor. All material will be sent for peer review.